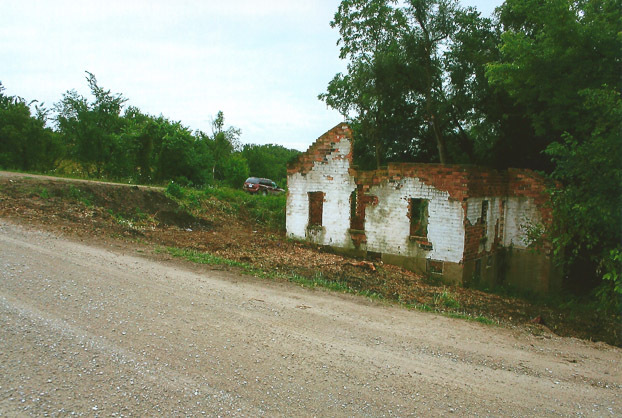 The ruins of David and Emma Peterson's brick home at the intersections of H32 (160th St) and Melrose Road (527th Ave). The car in the photo is pointing south on Melrose Road. Melrose was six miles to the south. The house was built in 1922 and abandoned in the 1940's and built by Nate Peterson (no relation). The home was midway between Haydock and Bucknell.